A suspicious package suspected of being a bomb left in central Wellington today turned out to be an abandoned suitcase. Traffic came to a standstill, buildings were evacuated and roads were closed when the suitcase was found in the entrance of the Trade Hall Centre in Vivian Street about 8.45am. In 1984 a bomb exploded in the same building, killing caretaker Ernie Abbott, 62. That bomb, designed to detonate when moved, was in a small, tatty green suitcase with a distinctive Rica banana sticker, left in the Trades Hall foyer. Nobody has ever been charged for the crime. Police have re-opened their file on the case after the latest incident. In this post, I'm going to break one of my cardinal rules. I am going to use hearsay. The reason for that is that some years ago I extensively interviewed a former member of the pro Soviet, Socialist Unity Party (SUP). This person had some very interesting information on the case, but is unfortunately no longer available to me. I repeat what this person said because it provides an alternative explanation to the widely promoted theory that Mr Abbott was murdered by "right wing, anti union elements". I post, not to prove anything, because I cannot, but in the hope that others will come forward, to confirm or convincingly refute my theory. I emphasise, it is only a theory. At 5.19 pm on the 27th March 1984, caretaker Ernie Abbott grabbed a suitcase left lying in the foyer of Wellington Trades Hall in Vivian Street. A bomb in the suitcase exploded, killing him instantly. As Mr Abbott died, a Wellington Trades Council meeting was winding up nearby. Unionists watched stunned, as Mr Abbott's boss, Cleaners Union Secretary Pat Kelly, burst in crying. There had been a bomb- Ernie Abbott was dead. My contact maintains that within minutes a meeting was convened in a downtown hotel room. The room had no bed, it was clearly set up for meetings. Present were several high ranking Wellington based union officials. Most came from the same union and were senior members of the SUP. One man was a covert SUP member who also held high office in the Labour Party. Another was a well known union official, also very influential in the Labour Party. The rank and affiliations of those present, indicated that this comrade was almost certainly also a covert member of the SUP. I was told it was a calm and business like meeting. The hysteria and accusations were for a wider audience and were not long in coming. Speaking directly after the bombing, Leader of the opposition Labour Party, David Lange said "On all the advice I have, it is murder and it is directed at people in the union movement.".... ":It is tragic that New Zealand has degenerated to that. But I must say that it is not unexpected because we are a nation that has been conditioned to hatred"
Labour Party President, Jim Anderton seemingly had no doubts that the bombing was an attack on unions. On the day following the bombing he stated "only last week, I was commenting strongly on the fact that anti- union propaganda which has been emanating from this Government ever since it came to power has created a climate in which quite Draconian anti-union legislation can gain the acceptance of quite large numbers of people"..."I never believed that the climate would lead to violent attacks on individuals or groups within the trade union movement"
Two days after the bombing a meeting was held in Wellington with Labour Party officials and more 100 delegates from Labour affiliated unions to discuss plans for the General Election. The meeting adopted a program based on strategy used in the 1982 Swedish elections. The program included union finance to Labour, unions making their resources available to individual candidates and shop floor campaigning. Speaking to the press, Jim Anderton said he'd never known the trade union movement to be so committed to a change of government. "We have the National Party to thank for a very high state of motivation and commitment"
According to Anderton, the day began on a sombre note because of the death of Ernie Abbott. But as the day progressed the sombre feelings transmitted a feeling of wanting to do something positive to change the anti-union climate. "The climate of anti-unionism and irrational antagonism against trade unions was a fertile ground for the kind of extremism that led to the Trades Hall bombing". In 1984, unions and their SUP leaders were under siege from the Muldoon Government. The SUP was also under strong pressure from Moscow to help Labour into power. I was told that several SUP members were studying at Lenin's Institute of Higher Learning in Moscow during the early 1980s. They were drilled extensively on the advantages to the Soviet Union that could accrue from the election of a Labour Government in New Zealand. Great emphasis was placed on the influence the SUP could exert on Labour through its control of the trade union movement. Consequently the SUP, for the first time in it's history fielded no candidates in the 1984 General Election but threw all its weight behind Labour. On the 6th of June 1984 SUP National Secretary George Jackson addressed a meeting of the Party's Hamilton branch. Explaining the decision to support Labour, Jackson stated that "the Federation of Labour/Combined State Unions have more influence on the Labour Party than for many years. And the trade union structures have the ability to transform economic campaigns to political campaigns." The SUP judged their efforts as successful according to a paper given to the Party's 1985 conference by National Committee member, Richie Gillespie. "The election of a Labour Government was the only realistic alternative, therefore it was vital if Labour was to be supported at the polls that support needed to be centred round a set of working class demands. In the event the Labour Election Manifesto did contain a number of progressive elements that had been included as a result of trade union input. Through our trade union links the Party had a significant influence on that input." Former KGB officer Oleg Gordievsky was clear on the SUP's role in his 1990 history of the KGB. Gordievsky alleged that New Zealand and Australian communists were being "run" by the International Department of the Communist Party of the Soviet Union. "I know the situation in New Zealand very well; only 500 members but they are invaluable because each was ready to do something. It was like the KGB had 500 agents in the country." Gordievsky added "plus some of them penetrated the trade unions,... and then they penetrated the left wing of the Labour Party"
After extensive enquiries, the police failed to find Ernie Abbott's killer. Speaking five years after the event, Chief Inspector Lines stated that he believed the bombing was done by an expert who "who possibly planned to kill and maim as many people as possible. It was too well done to be a nutter I think." Almost certainly, the killer was a professional. Where do you get professional training in bomb making? Where do you get the wherewithal to carry out a "professional" bombing? Despite calling itself a political party, the SUP, like all major Communist Parties had a dark side. Like all good Marxist-Leninists, certain SUP members saw illegal activity as a legitimate part of bringing about revolutionary change. Foreign Communist Parties have long histories of instigating civil disorder, thuggery, diversion of trade union funds and currency smuggling. Foreign Communists also indulge in espionage, sabotage and assassination. The KGB files smuggled out of Moscow by Vasili Mitrokhin and published as the Mitrokhin Archive gives information on Soviet sabotage networks operating in the West well into the 1980s. According to my contact, some members of the SUP have claimed training in the Soviet Union in sabotage techniques. One such man was Lower Hutt branch SUP member, the late Bert Shipp. Until his death in 1990, Shipp was president of the Railway Tradesmens Association. He had extensive knowledge of the Wellington railway system. He boasted regularly to other branch members that he had spent 12 months in the Soviet Union in the late 1970s training in all kinds of sabotage techniques-including bomb making. Shipp also claimed another SUP member, had undergone similar training. Shipp's claims were certainly believed by other party members. Lest it be said that I am defaming the dead. I accused Shipp of undergoing sabotage training in a leaflet I circulated nationwide in 1989. The SUP's "Tribune" ran a story on it, so its highly likely that Shipp was aware of my accusations. Mr Abbott's killer was almost certainly not some disgruntled amateur, but a trained "professional." Such people are very rare in New Zealand, but the SUP, at the time may have had at least two. The SUP had a motive; to unify the union movement and bring Labour to power. It certainly exploited the killing for everything it could. Its newspaper Tribune for years posted tributes tounion martyr Ernie Abbott and consistently blamed "right wing elements" for the outrage. 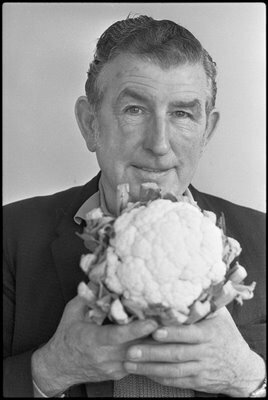 Don Farr was a leading Auckland based unionist and SUP member until 1987. In 1989 he was prominent in the Labour Party, but still writing for "Tribune" (which his wife Jan, edited). Farr was also heavily involved in the SUP's scheme to negotiate a trade union "Compact" with the Labour Government. Now that campaign to give unions no position in society is being put forward by by the Roundtable, Treasury and many employer groups. It is balanced by the opposing call from many unions for a "compact" which would build unions into the fabric of our society as formally accepted elements of the democratic system. If we pull off a "compac", remember Ernie Abbott who was killed during the push to keep unions out of society." Hindsight and history give us a chance to look at who actually gained from Ernie Abbott's death. Motive is paramount when trying to solve an apparently well planned and professionally executed crime. It is clear that the SUP had a motive to create a martyr and they possibly also had appropriately trained personnel. Twenty two years have passed, the world has moved on, loyalties have changed. Somewhere, somebod's conscience must be weighing them down. It's time for people to come forward with what they know. We may yet find out who really murdered Ernie Abbott. Hard to know with that case. Maybe the cops were really in cahoots with the right-wing paramilitaries from Israel who did the bombing and that is why they chose never to find the killer. Interesting theory Trevor - and my recent read of the book Stasiland, which contains quite a few descriptions of GDR Stasi techniques mean I wouldn't be surprised. If it were true, very few would know and it would be one without close personal ties to anyone there, as much as they were hardened Marxists I would doubt they would have it in them to murder one of their own. The rightwing conspiracy idea seems ridiculous too - what would be the motive unless it was to get rid of someone at the top? If your theory is true Trevor then the irony of the outcome was classic. They got a Labour Government alright, but it contained good'uns like Douglas, Prebble, Bassett, De Cleene, Caygill & Moore. True Spirit, but the Soviets also got NZ's anti nuclear policies and the destruction of ANZUS. Which do you think the Soviets cared about most? Seems like a good case for TV2's Sensing Murder programme. Are you serious, or is this a joke? Why would I joke about a srious issue like this O Weiz One? I've always believed that the bomber come from within the union establishment itself. In the US and Austrailia there has been quite visious intra-union fighting over the years (The Painters and Dockers Union in Austraila and the Demise of Jimmy Hoffa in the US are two excellent examples). Those blaming 'right-wing anti-union elements' for poor Abbot's death have never identified who those forces are. Exactly Ex. When looking for culprits you first look for motive and means. The SUP had both. I blame the Illimunati in conjunction with the UN, the freemasons and Opus Dei. We are through the looking glass here people. Interesting theory Sonic. Where's your evidence? I hear X Files was your all time favourite documentary series. If this was done by a "professional" how come it only killed one person and didn't blow up the whole building? Anyone passing through the foyer could have picked up the suitcase. There was at least one business right next to the foyer who regularly went through there to go to the toilets. Why did they use such old parts to make the bomb? If it was so professional why didn't they use state of the art (at the time) components? Up till now I've treated your blog as a source of amusement. Now I've read this I have to view your writings in a much harsher light. I knew Bert Shipp well, yes I was in the SUP, and I knew Ernie. So did Bert. To imply that he may have had a part in this without him able to defend himself because he's dead is beneath contempt. Yes the SUP had a hard nosed pragmatic approach to using current events to their advantage, but to make a wild jump from this meeting to saying they were behind the bombing beggars belief. If your ex SUP source is who I think it is, then you have been dealing with a deluded individual who unfortunately was given too much creedence for too long because his mentor was a high ranking party official. The only way you can even attempt to justify this scurrilous accusation is to name the names of both your source and the comrades involved in this meeting. Anything else is just baseless innuendo and does you no credit. Trevor, thank you for this post. I was writing about the bombing myself today and linked to you. I had personally suspected groups close to the unions. To ‘ex-comrade’ above, I think you were harsh on Trevor. He begins by saying that his post is hearsay and never passes it off as any deﬁnitive truth of the Trades’ Hall bombing. You may be right to defend Mr Shipp and you have done your duty by having this recorded on this blog. However, Trevor should not name his source any more readily than you should give up your own anonymity. Interesting but can someone tell me who Bert Shipp worked for or what his occupation was.